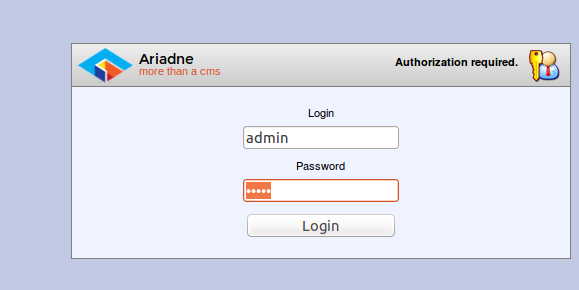 Ariadne is a feature rich, open source, cross platform and security focused Content Management System (CMS) and Framework for the web applications. The main objective of this CMS is to provide such an application which fulfills the purpose of content managment in a secure and easy way. It offers an intuitive, easy to use, flexible, multilingual CMS application. It is an enterprise ready CMS software; let’s see how we can install it on Linux operating system. We tested its installation on ubuntu and Fedora operating systems and it worked like charm. Ariadne requires following three packages to be installed on our Linux system before we attempt to install or run it. Lamp-stack comes with all these three components, so we will just install Lamp-stack and it should suffice our needs. Launch your Linux system terminal and run following command to install Lamp-stack. 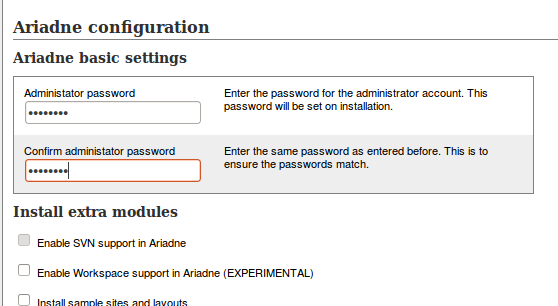 During the installation process, it will launch a pop up to set mysql root password, note down the password you set here as it will be used later when installing Ariadne. Once the installation of lamp-stack is complete, run following command to start apache web server. Launch your browser window and load http://localhost, it should display a page as shown in the following screenshot. 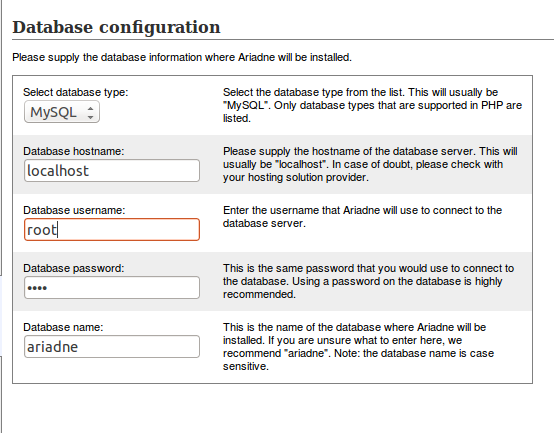 Let’s create MySQL database for Ariadne installation. 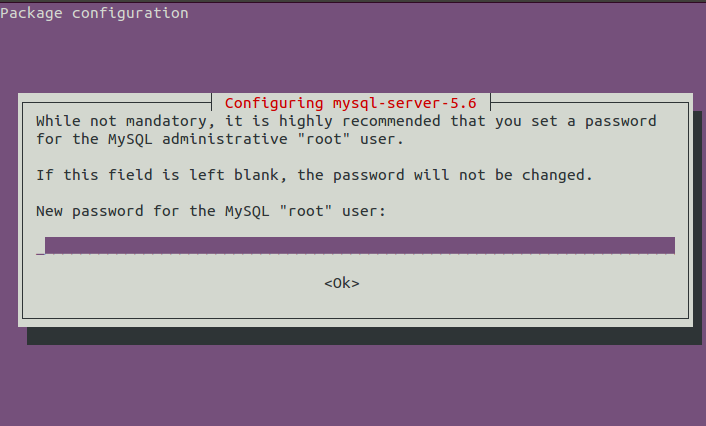 Login to MySQL with password your set earlier, and create database by running the following command in MySQL console. Please look at the following screenshot in case of any confusion about how to login MySQL and create this database. Now download the zip file for Ariadne CMS from following URL. Kindly note that due to the security reason, you can not place this unzipped file in apache document root as Ariadne installation will not work this way. 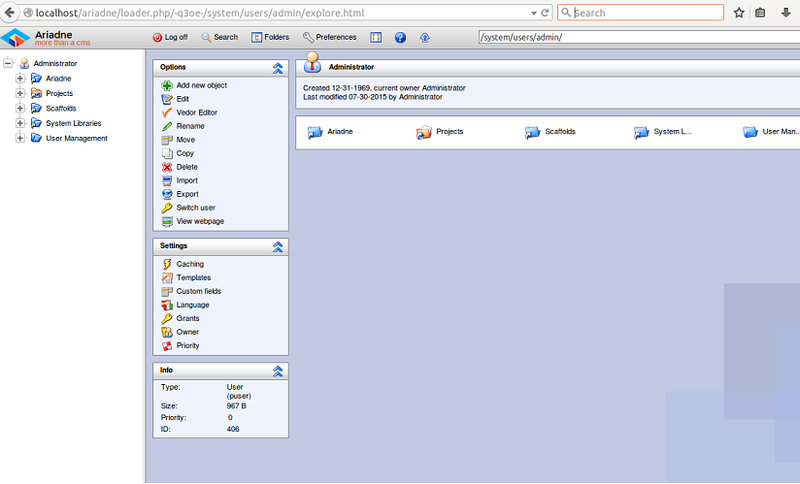 Now go into the extracted directory and only copy “www” folder to apache document root. Here rename the “www” folder to something more meaningful. Now go into the ariadne directory. 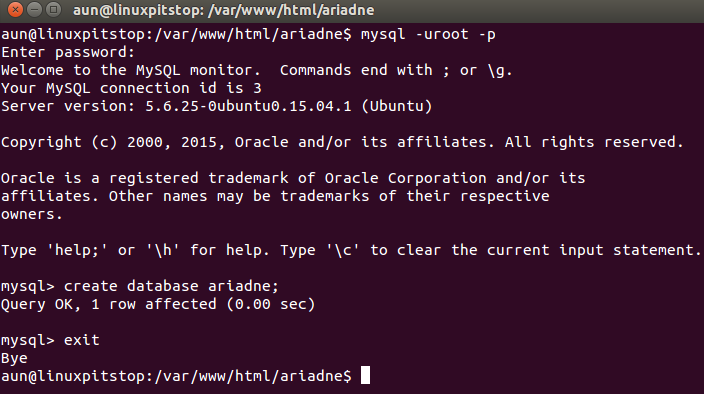 Now rename “ariadne.inc-unix” file to “ariadne.inc”. Edit your ariadne.inc file in Gedit text editor and change the path for lib files here; as shown in following screenshot (Ariadne lib folder should be located where you first unzipped it after downloading). Now load your browser and launch http://localhost/ariadne/install to initiate the web based installation process for this CMS. 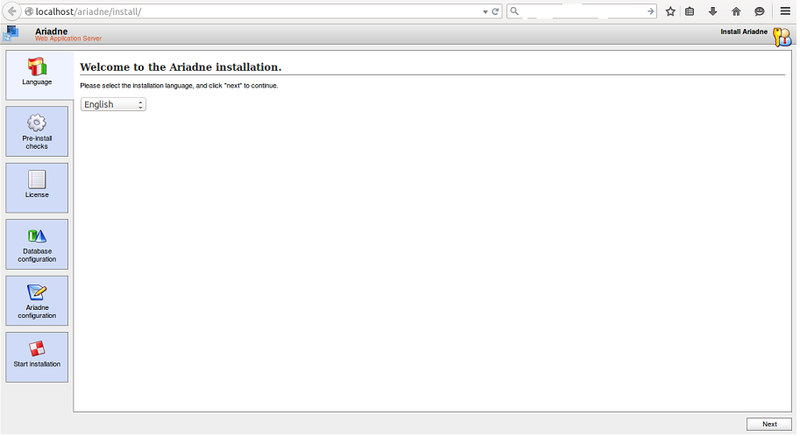 Here is the very first screen you should see, click “Next” from here to take the installation to next level. Review the license agreement on next step and click “Next”. On this step, specify your MySQL login details and database name your created earlier. Click “Next” to proceed further. Specify password for the CMS administrator user here. That’s it, the installation is in progress now. You can track the installation progress in browser. Congratulations, Ariadne has been installed; login with your Administrator user. Start using this feature rich Content Management System. This CMS is getting popularity due to its ease of use and abundance of feature. However, it still has to compete with CMS giants like SugarCRM or SuiteCRM. But it has been able to do an impressive start, still long way to go though.